Fillings have been around for a long time, and with it, a large amount of options have resulted. Originally, while cavities were untreatable, problem teeth could be replaced with fakes. These fakes are the reason that we think of George Washington with wooden teeth, or when we think of pirates from the middle of the last millennium, we think of golden teeth. These days, there are a bit more tasteful options (though gold fillings are still in use, and have some practical benefits). Several options make it clear that you have a filling, while some are designed to be the color of teeth. We will be going over the benefits and types below, as well as some of the basics of the operation. With all of them, the decayed tooth area is removed, and then they use a filling to replace the area and fill in the removed area. 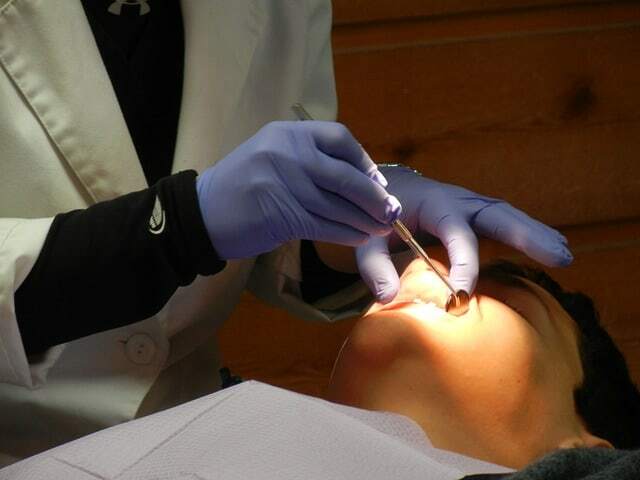 A local anesthetic will be applied, which will numb you from feeling any pain in the area. A lot of people have fear about operations like these, but with a qualified dentist the local anesthetic should sufficiently numb you to not feel anything during the operation. But if you have developed any type of fears, phobias or anxieties about visiting the dentist, there is another option, sedation dentistry, which we have previously covered in our blog. One of the filling types we already mentioned, gold, is actually considered one of the most effective options. While it may seem like a good idea at first to opt for the cheaper or more aesthetic option, something to consider is that most will not last as long as gold. If a material lasts 10 years, and you get the filling at 30, you could be in for 4-6 replacements over your lifetime. Gold on the other hand, lasts 15-20 years, and the makeup of the material prevents it from breaking. Silver amalgam is likely the second strongest filling material, but not necessarily option number two for those who want to hide their fillings. Silver amalgam is made with a base of silver and an ‘amalgam’ of several other metals (zinc, copper, etc.). Silver amalgam can last for up to 10 years without cracking or breaking, but may begin to tarnish before then. There are a few options that are made to appear as a natural tooth, each with some differences. One of these options is ceramic fillings. These can actually sometimes break, and are normally expected to last around 5 years. These are weaker, but can have their life extended with certain procedures. Another option that looks like naturally colored teeth is composite resin, which has a similar life when compared to ceramic. With all of these options, it will come down to a matter of personal preference. You will have to balance your want for aesthetics and your need for utility and function. In the long run, it is likely the more functional options will be the better ones in the long run, but ultimately like most things, it is a matter of preference. If you’d like to learn more about the different types of filling operations and materials, or about which is the best option for you, contact Larry Molenda, a dentist in San Marcos, to get more information and to schedule an appointment.